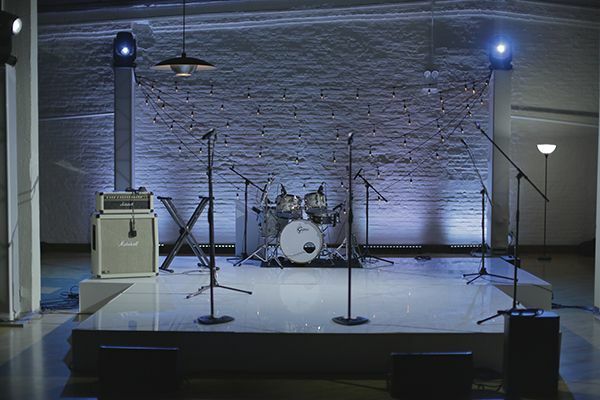 Transform your event into a spectacular experience with AV rentals from Hank Lane. 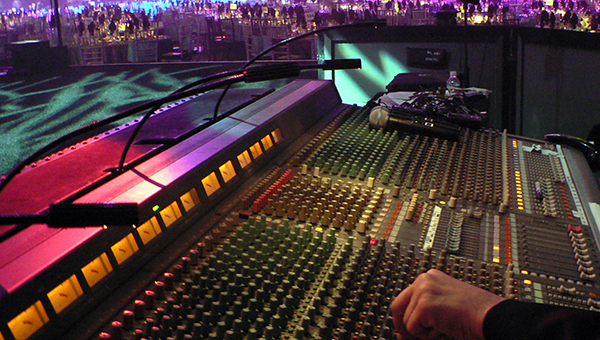 We’ll help you make sure it sounds like a party, looks like a party and feels like a party! Serving the NY Tri-State area, including New York City (Manhattan, Long Island), New York State, Philadelphia, PA, Greenwich, CT and Newport, RI. Few effects transform a party more powerfully than professional dramatic lighting, which is why we have lasers, nightclub style lights, room perimeter up-lighting, floral centerpiece pin-spot lighting, dance floor and stage lighting and more, available to rent for your party. Not every venue is equipped to throw the party you envision. Not to worry! With our incredible selection of custom staging and dance floors, you can host your event at the venue of your choosing without missing a single detail. Ensure that guests can see your entertainment and presenters by using our custom staging or black and white stage options. Then, dazzle guests while they dance with hologram, mirrored, black or white dance floors. Don’t miss the rare opportunity to capture your guests when they’re the silliest, most energetic versions of themselves! Parties bring out the funniest side in all of us, and photo booths work with that. With just a photo booth, a box of props and a few giggles, both you and your attendees can walk away with a pile of goofy...or even serious...professional pictures from the event. Plus, it’s an easy way to get all your guests involved. 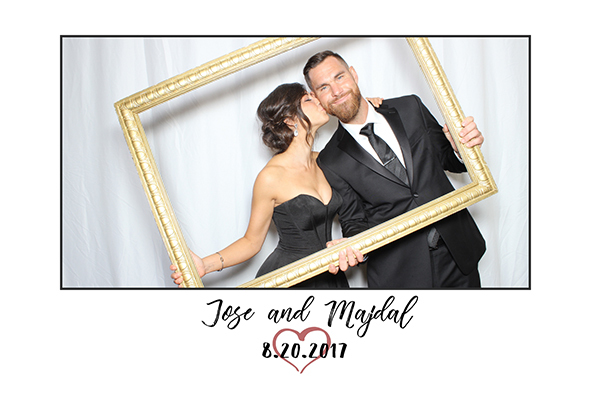 Our photo booths have social media integration so we can hashtag your wedding or event right from the photo booth. For more on our Photo Booths, speak to one of our experts at Creative Games Inc. Microphones, speakers, sound systems...our warehouse is stocked up with the professional audio equipment you need to ensure that all speakers and performers are clearly heard and sound as they should. Whether you have high tech corporate presentations lined up, need to project photos of the new product line on the wall or want to run your "growing up" montage video on a loop during you bar or bat mitzvah reception, we've got the equipment to make it happen. Our projection and plasma screens and video walls can turn the simplest visuals into larger than life experiences. Don’t let hunger get in the way of a good time. 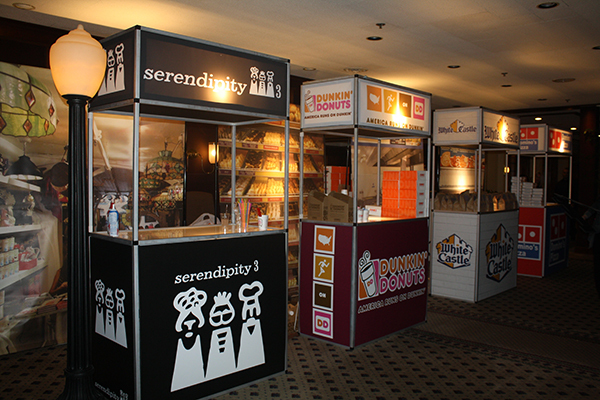 Keep your guests satisfied with "after party" nibbles presented in our whimsical food kiosks, designed to draw a crowd. For more on our food kiosks and other fun food stations speak to one of our experts at Creative Games Inc.
From audio visual equipment to staging, dance floors, photo booths and more, the Hank Lane Events Team is ready to help you polish off your party plan! Get started today by scheduling an appointment using our online calendar. Pick a date to meet with our Events Team at one of our local offices in NYC, Long Island or NJ locations and we’ll assist you in mapping out the equipment and party rental items you need to throw the party of the century.